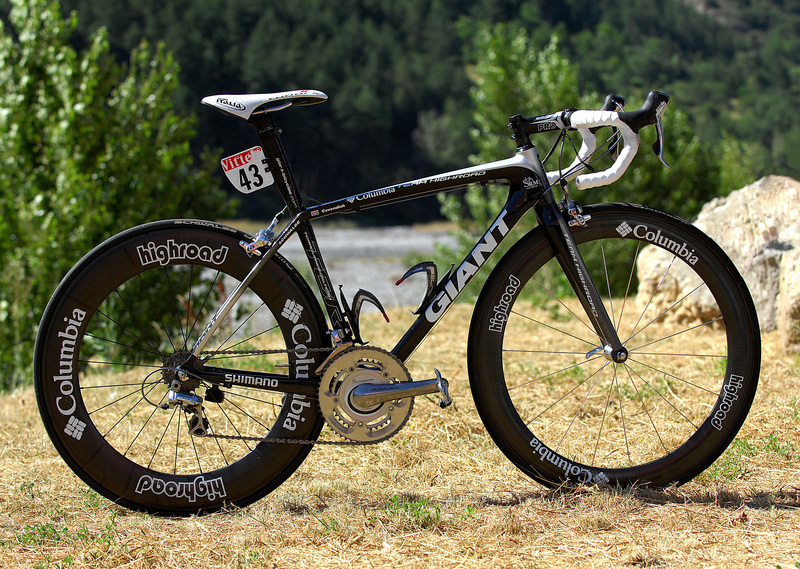 Mark Cavendish (Team Columbia) has been putting his new Giant to good use at the Tour de France with four stage victories to his name. Giant’s TCR Advanced SL has been built with Toray T800 carbon that has improved stiffness over last year’s model and – impressively – this improvement is a gain of 42%. The majority of the stiffness gain is at the bottom bracket, which now uses a 86mm shell with internal Dura-Ace bearings. This new design and carbon lay-up improves stiffness by 26%. Improvements at the head tube also have seen an 11/8 bearing at the top and a 1/1/4 on the lower race to improve front-end rigidity. Click image to enlarge, or click here to download it as wallpaper. The build up of the bike is not too dissimilar to the rest of the team, with Cav using an SRM and the cables mounted internally in the frame to monitor his power and speed. For the high speed sprints the Manxman is using a 53 ? 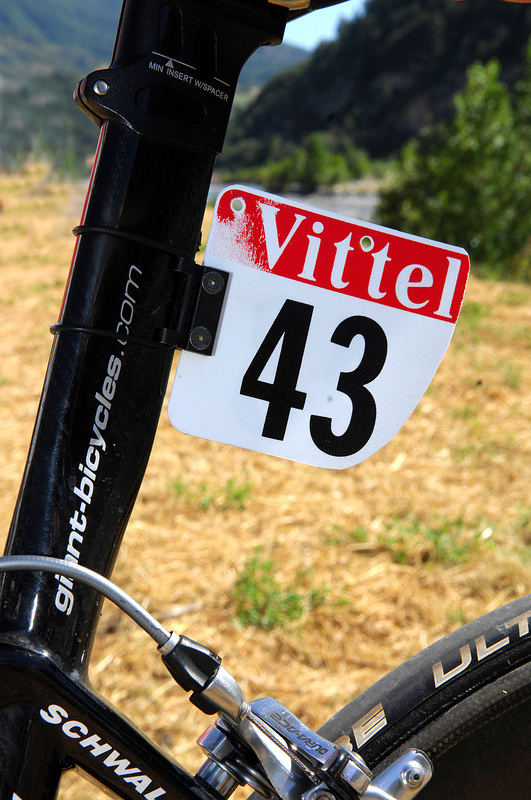 11 on 170mm long cranks. 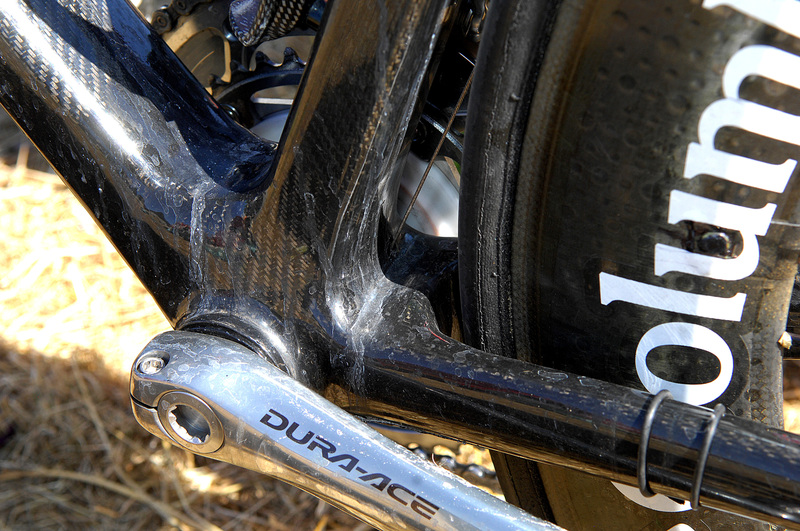 Silicone fills the hole where Cav’s SRM cables are routed through the frame. 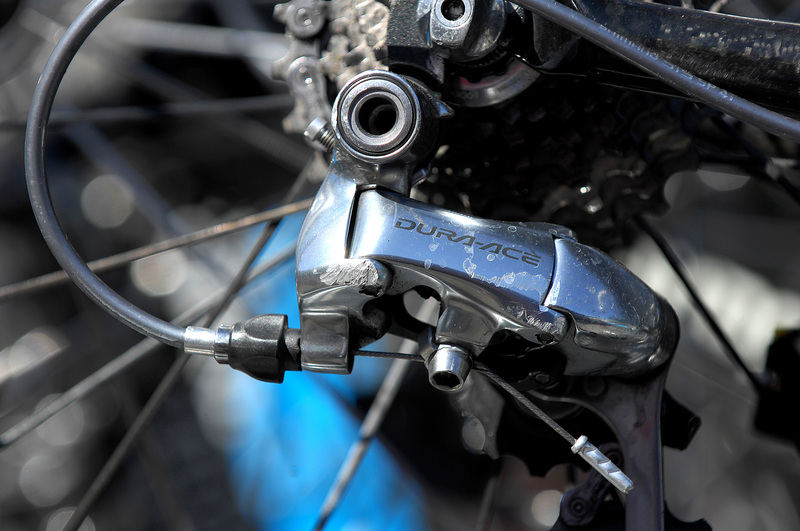 Shimano supply the team with its groupset and unlike most of the riders in the peloton this year, Cavendish is not using the new 7900 series Dura-Ace but the current 7800 series groupset. As the new groupset was supplied just before the Tour, maybe Cavendish did not want to take any chances with not being used to the new design in the final few metres of the sprint stages. Either way the decision did not hurt him. The BB is 26% stiffer than the previous model. Pro components also feature on the TCR, with the aluminium Vibe set-up being Cavendish?s preferred choice for rigidity and reliability. 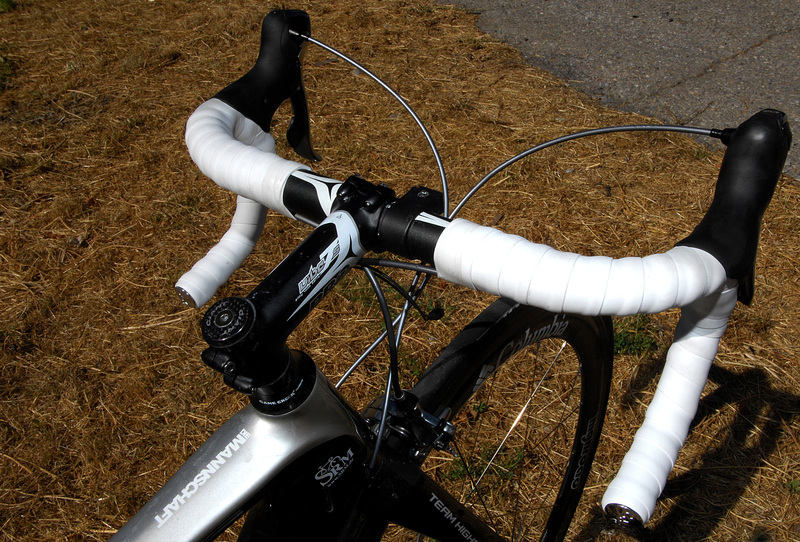 Alloy bars and stem up-front. Wheels are an important piece of equipment for a sprinter, with not only the most aero wheels being a priority but also stiffness. From the team’s large selection of wheels Cavendish has chosen to run the deepest rim on the back with a Zipp 808 and a slightly less side wind affected 404 for the front. 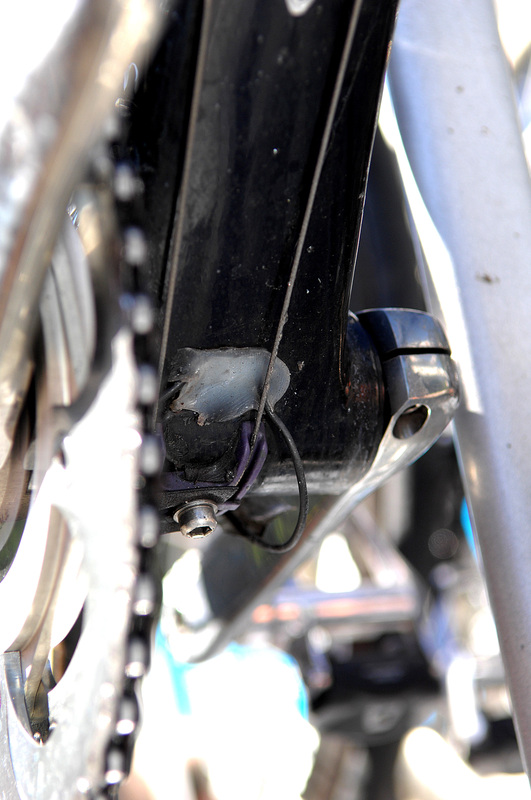 Cav’s rear mech still shows the signs of his crash. A very neat solution to display the number board.